This detailed watch from August Steiner features a tachymeter ring and matte dial. 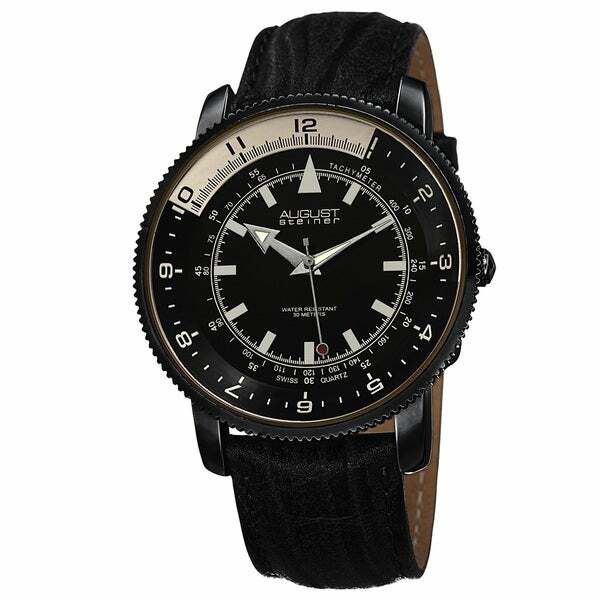 The genuine leather strap and Swiss quartz movement creates an extremely sturdy timepiece. The coin-edge bezel adds to the intrinsic design of this charming arrangement.